1. 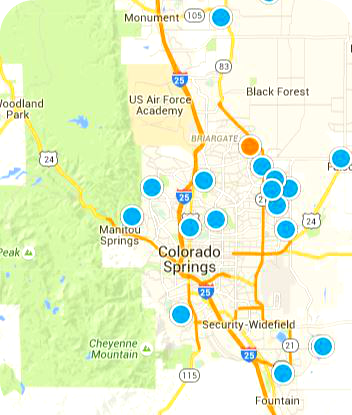 We use the latest technology to connect buyers to the most accurate information regarding homes for sale in Colorado Springs. We go the extra mile to ensure we meet each client's unique criteria. 2. Out-of-town buyers can request video walk-throughs of a property for a closer look at the entire house. 3. We provide clear and constant communication throughout the home-buying process. 4. We use expert negotiation in order to get the best terms possible for our clients. 5. There are no hidden fees to buyers! In fact, the sellers almost always pay our commissions so that our services are free to you, the buyer. 6. Solid Rock Realty's Realtors, will walk you through the entire buying process from submitting offers to closing. We will be there for you the entire time! 7. We've made all the right connections for you already: home inspectors, contractors, roofers, plumbers, and more! 8. We have experience in multiple types of residential home sales including foreclosures, short sales, and REO properties. 9. We are available 7 days a week! Contact us today to find out more about buying a home in or around Colorado Springs, to hear about our upcoming listings, or to tour a property! (719) 359-4558. We Can Help With That?